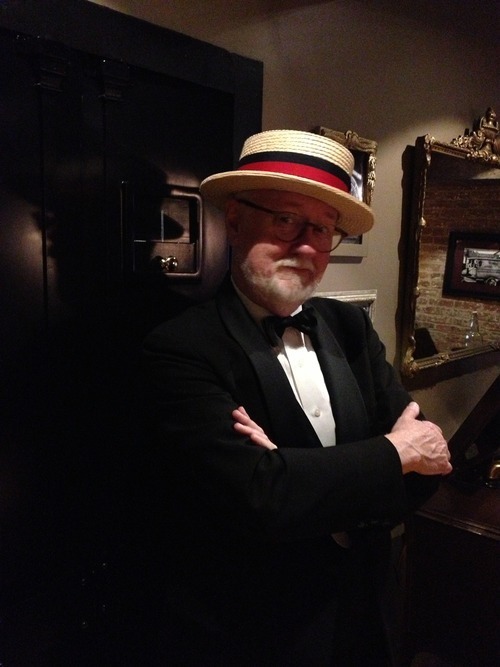 Not just anyone could enter the speakeasy at the Evan Williams Bourbon Experience. 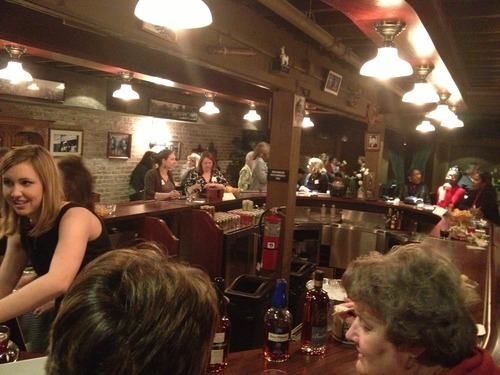 You had to have the password to join the exclusive Bourbon Women event going on inside. Luckily, I was one of those in the know, and I was able to sneak these exclusive photos to share with you. 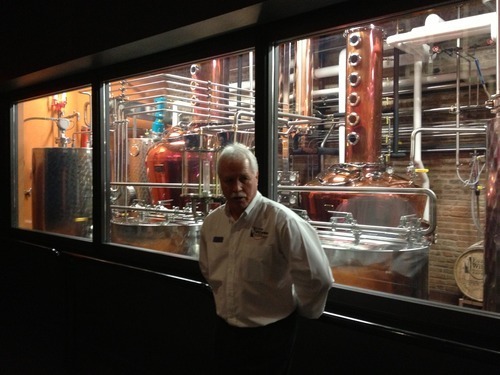 I encourage you to visit the Experience, a tourist attraction and working microdistillery (one barrel per day!) on Louisville’s Whiskey Row. 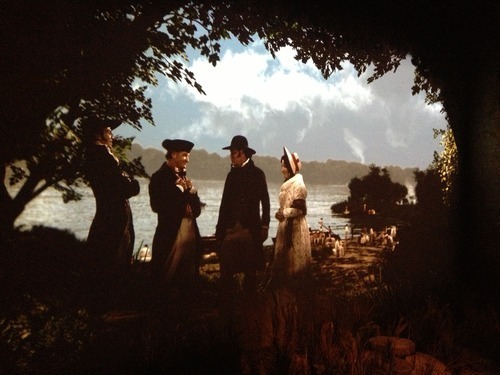 It’s another exceptional attraction brought to you by the folks at Solid Light, a museum and exhibit design firm based in Louisville that also created the Bourbon Heritage Center at Heaven Hill in Bardstown. Evan Williams is the flagship bourbon brand of Heaven Hill, and the Experience tells the story of the man behind the name, one of the first commercial distillers in Kentucky. 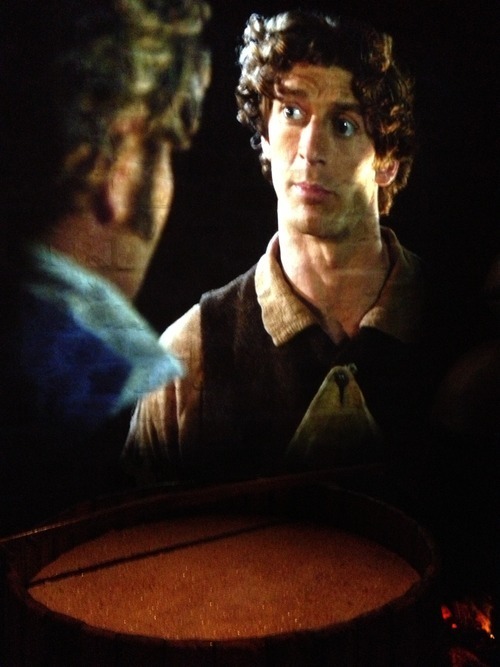 The museum is located very near the site of Williams’ original distillery, and a multimedia exhibit shows you what the view from that distillery would have been in 1790. Little-known fact: Hobbits made bourbon. 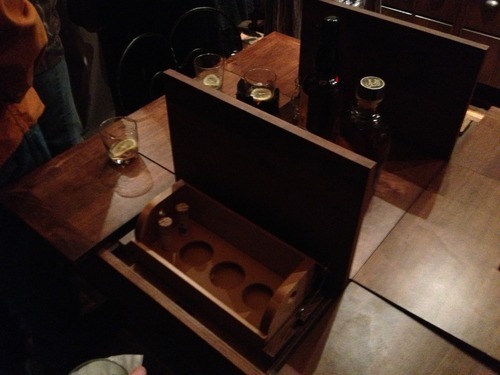 Another area of the museum recreates the Whiskey Row in its 19th-century heyday, where a tasting room includes these ingenious custom-made tables. 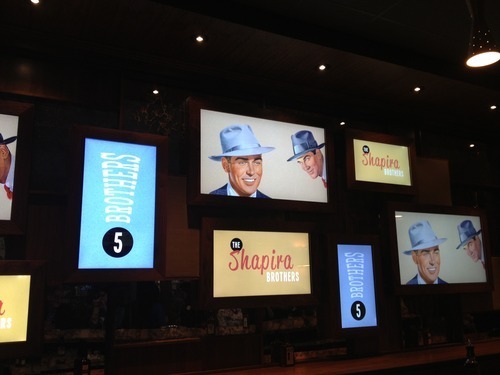 A second tasting bar, which evokes the 1960s, tells the story of the Shapira family, who own and operate Heaven Hill. A peek inside the basement speakeasy. 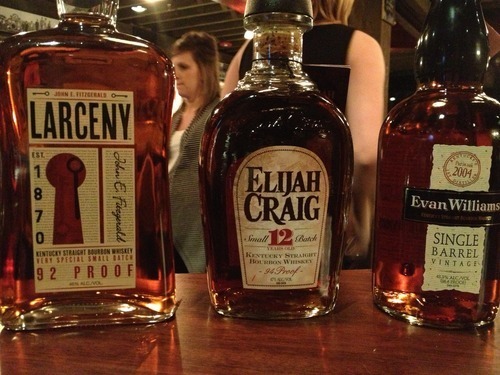 Some of the Heaven Hill products we tasted. 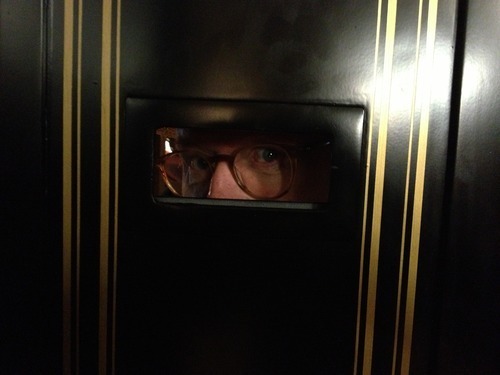 Don’t tell him I let you in without the password!